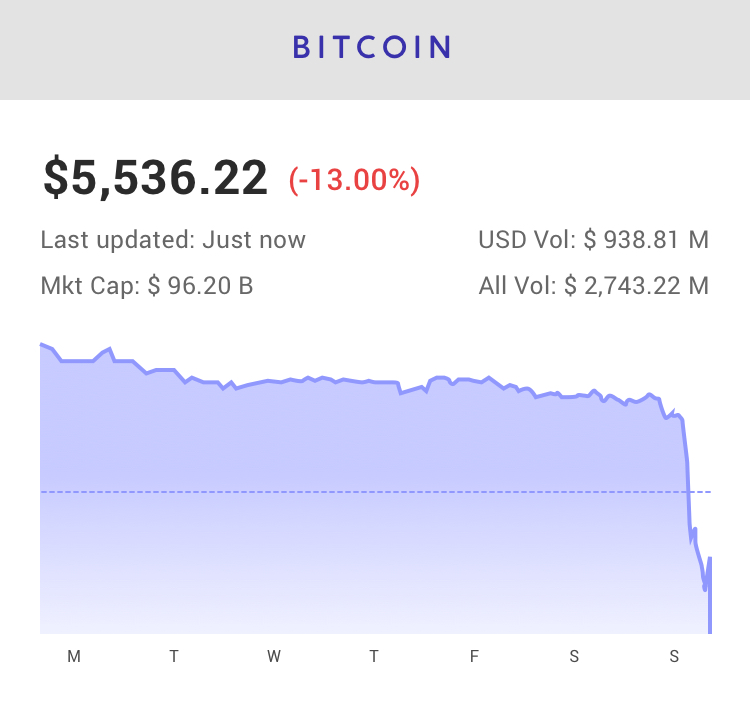 After months of stability, Bitcoin took a sharp downward plunge Wednesday, falling just below $5,500. The total market cap of the leading currency slipped under $100 billion for the first time since October of last year. Other top crypto assets didn't fare much better. Ripple (XRP), Litecoin(LTC), and Ethereum (ETH) dropped more than 17 percent and Bitcoin Cash(BCH) close to 20 percent. Volatility has returned to the crypto market, but why? Most fingers point to Bitcoin Cash's hard fork. This particular hard fork, initiated Thursday, is different from those in the past. Instead of one chain updating, two new chains have been introduced by competing parties – Bitcoin Cash ABC (BCHABC) by Roger Ver and Bitcoin Cash SV (BCHSV) by Craig Wright. 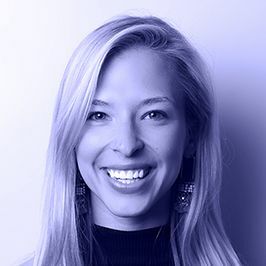 CNBC's Brian Kelley compared the disagreement to a “crypto civil war,” and predicted that the fork was the underlying reason for the market's sell-off. 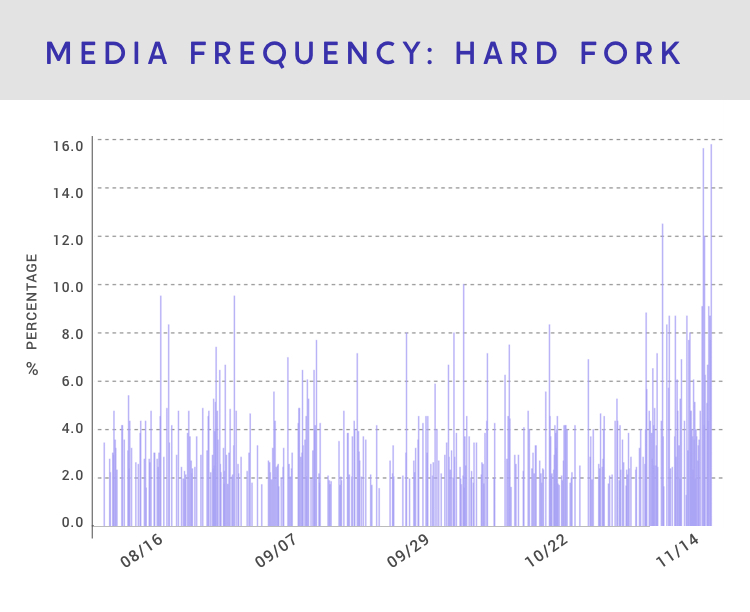 Our team tracked the frequency of media mentions of the term "hard fork" and saw a definite spike starting late last week. As mentions of the topic soared higher, the price of Bitcoin tumbled. See charts below (Price show: November 14, 2018, at 4 pm). Bitcoin tumbled below $6,000 for the first time since August and reached the lowest level in over a year, breaking the recent stretch of tranquility exhibited by the notoriously volatile digital alternative to cash. Read more. Stanley Yong, global lead for central bank digital currency (CBDC) solutions at IBM, has said that CBDCs can help to mitigate the risks that contributed to the 2008 financial crash. Yong also spoke on his perspective of how to overcome the fragmentation of existing digital payment systems during an interview for CNBC’s Squawk Box Nov. 14. Read more. Roger Ver is not happy, Vitalik Buterin isn't happy either. Simply put, all cryptocurrency traders and investors are not having the nicest day today. This can be credited to the tragic event of yesterday's market crisis that has escalated to the point of knocking out Vitalik Buterin's own token Ethereum, and the 24-year-old developer is making it clear that while Craig Wright, now termed the Donald Trump of cryptocurrency might be having the time of his life, the bearish crisis on his end is neither soothing nor amusing. Read more. Tim Draper, venture capitalist and billionaire tech investor, has predicted that within the next 15 years the total cryptocurrency market capitalization will reach $80 trillion. At present and according to CoinMarketCap, the total cryptocurrency market capitalization is only around $202 billion. Draper's bold prediction, that although the cryptocurrency market has momentarily plateaued it will have further rapid and exponential growth within the coming years, came at the DealStreetAsia PE-VC Summit in Singapore this month. Read more. According to Bloomberg's on November 13, 2018, stablecoins have become the next hot sector to emerge from the cryptocurrency industry, mirroring triple-digit returns from 2017 s initial coin offering (ICO) frenzy. Although the cryptocurrency industry has experienced a 70 percent decline in value from its all-time highs in December, many hedge funds are still betting big on cryptocurrencies as they believe that significant returns are possible with a successful, stable coin. Read more. Digital exchanges based on blockchain technology will completely replace traditional ones in ten years, Thomas Zeeb of Swiss leading stock exchange SIX told Reuters Wednesday, Nov. 14. Read more. On 15 November 2018, the Malyasia-headquartered CIMB Group, the fifth-largest banking group in ASEAN (Association of Southeast Asian Nations), with roughly $122 billion in total assets, announced that it had formed a strategic partnership with Ripple to "enable instant cross border payments across its various markets." As a result of this partnership, CIMB has joined RippleNet, which will allow CIMB to "grow its cross border payments business." Read more. With neither side of the contentious debate leading up to the hard fork willing to come to a compromise, two competing implementations of the protocol have now been activated. However, it’s unclear at this juncture which of the two will become the dominant software of the BCH network – or if two distinct chains will continue to co-exist in the long-term. Read more. Bitcoin Cash approaches hard fork, Ethereum and Ripple briefly trade places, crypto-friendly lawmakers are elected in the US, and more! 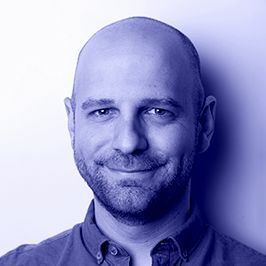 Our CMO, Steve Capone, took the stage at Crypto Intelligence Conference to talk about things crypto.